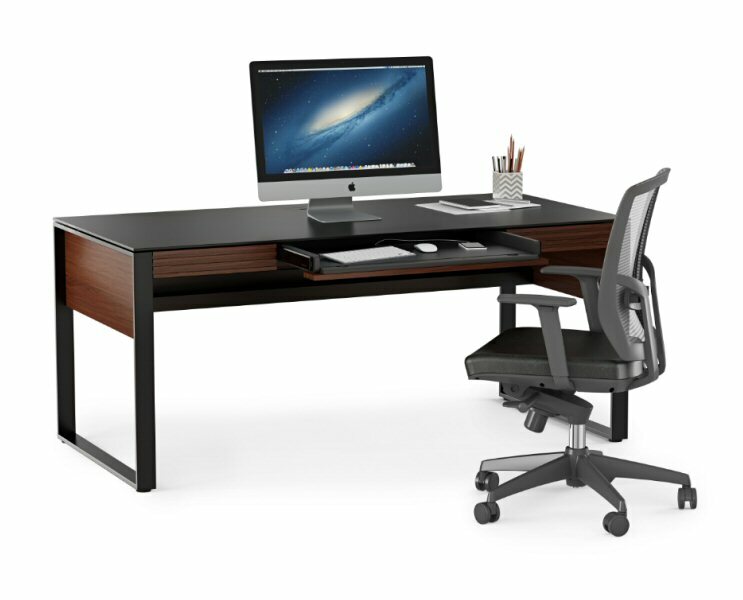 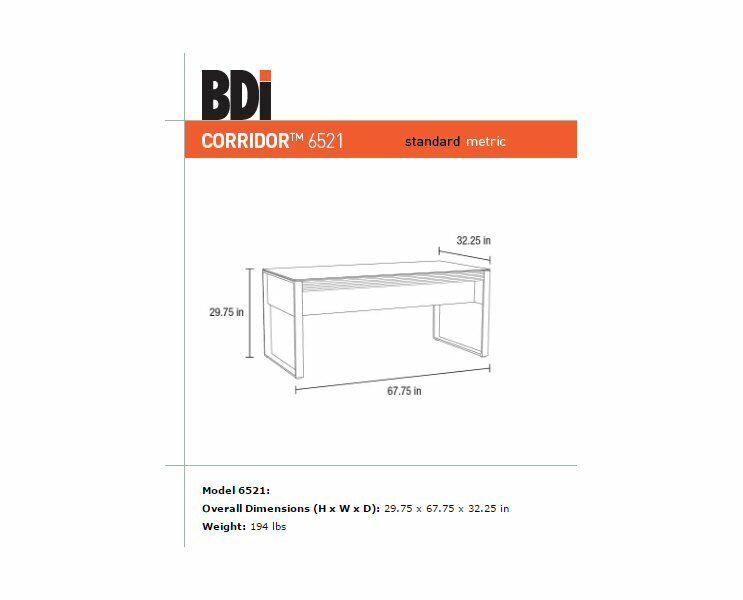 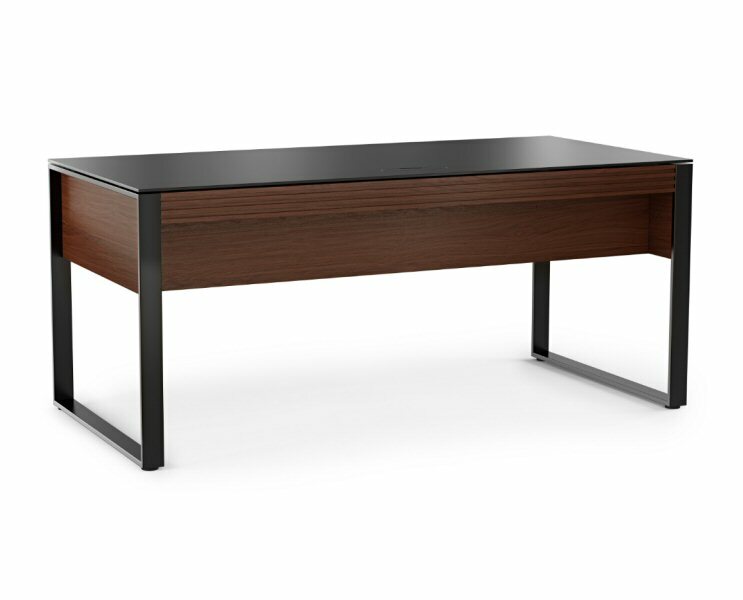 BDI Corridor 6521 Executive Desk’s micro-etched glass top provides a smooth, non-glare work surface. 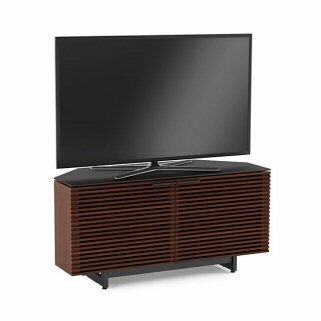 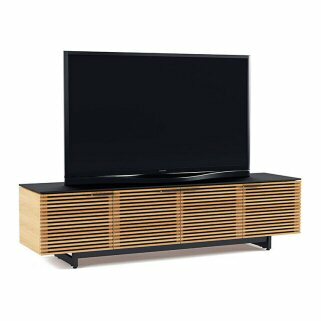 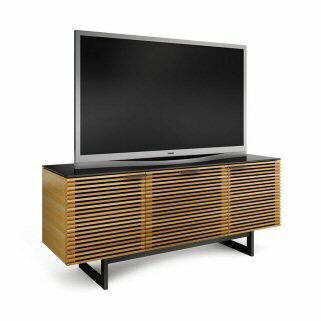 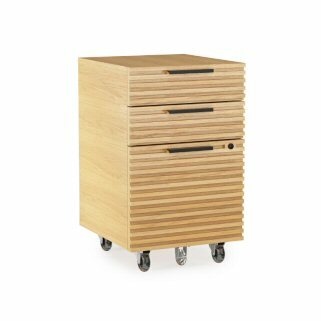 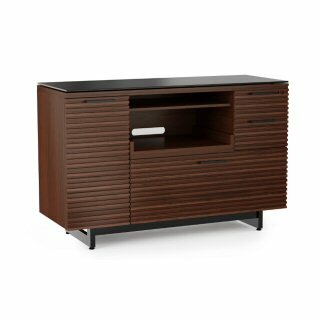 It includes a a center multifunction keyboard drawer and two side storage drawers. 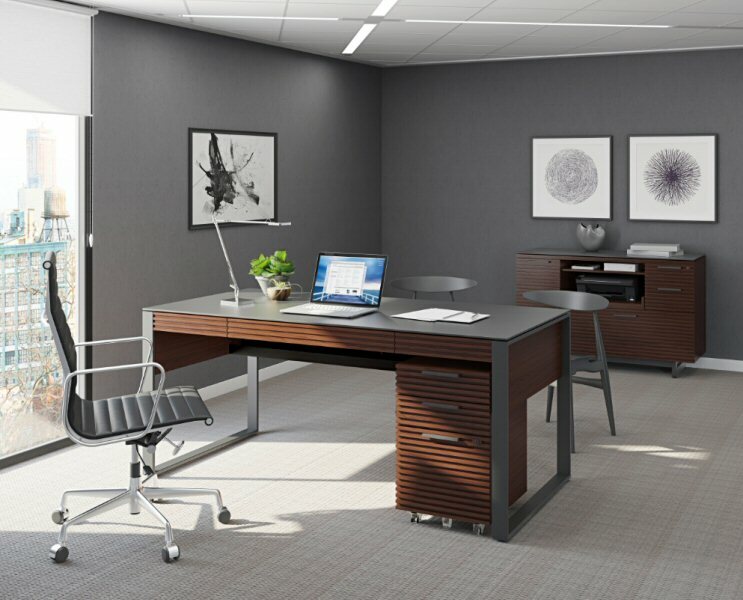 A recessed modesty panel allows for cross desk collaboration. 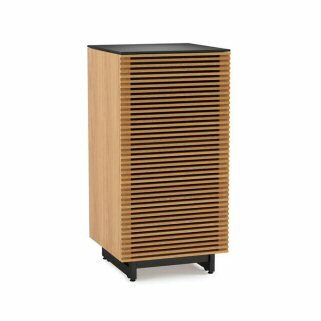 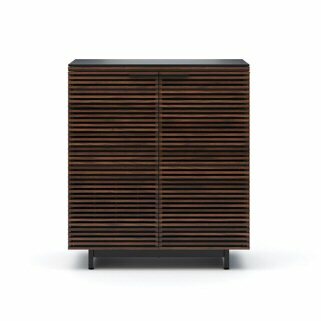 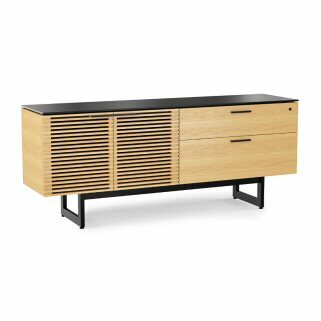 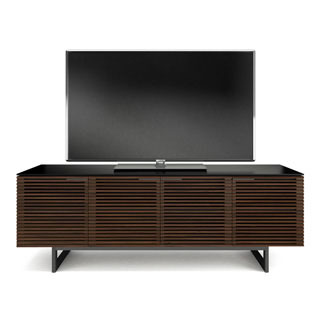 The Corridor collection includes a generously-sized desk, storage and file cabinets, and a unique credenza. 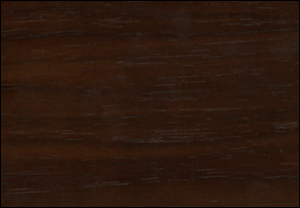 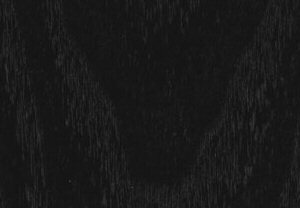 Work surfaces feature black, micro-etched glass that is easy to maintain and has a luxurious feel.